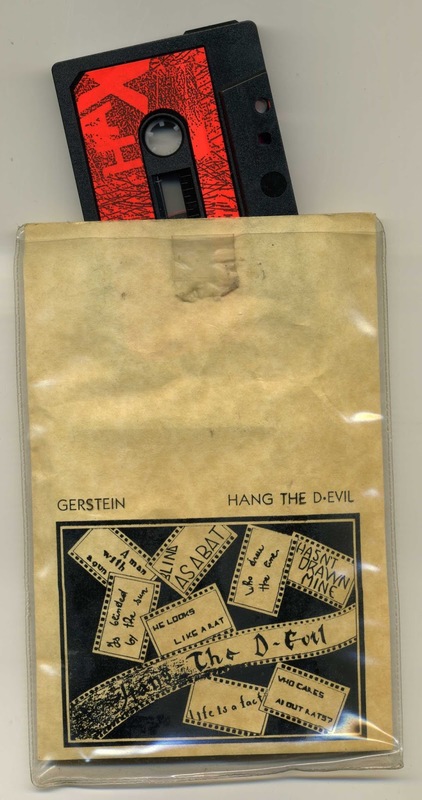 Gerstein is the personal project of Maurizio Pustianaz Italian producer and music journalist also involved in those projects:A New Life, Dr Cancer, Infektion Prod., Noisebrigade. Active from 1984 with the name Gerstein and from 1999 as NoiseBrigade.He is been active in the world of the underground press with his borther Marco founding the great zine called Snowdonia and then worked for few italian magazines before creating with Marc Urselli the very good webzine:Chain D.L.K. Hax is an Italian experimental label run collectively by Massimiliano Gatti (Bekko Bunsen, Lunhare), Marco Milanesio (DsorDNE), Marco Pustianaz (Snowdonia), and Guido Lusetti (Gregorsamsa). Originally intended to be an outlet for DsorDNE and related material - music, video and booklets - it grew into a larger collaborative effort as more parties got involved after the publication of DsorDNE's debut album È Un Sole. The style range expanded simultaneously from Electronic, Post-Punk, Experimental, Noise Rock to Modern Classical, Chansons, Avantgarde Folk, Alternative and Space Rock.